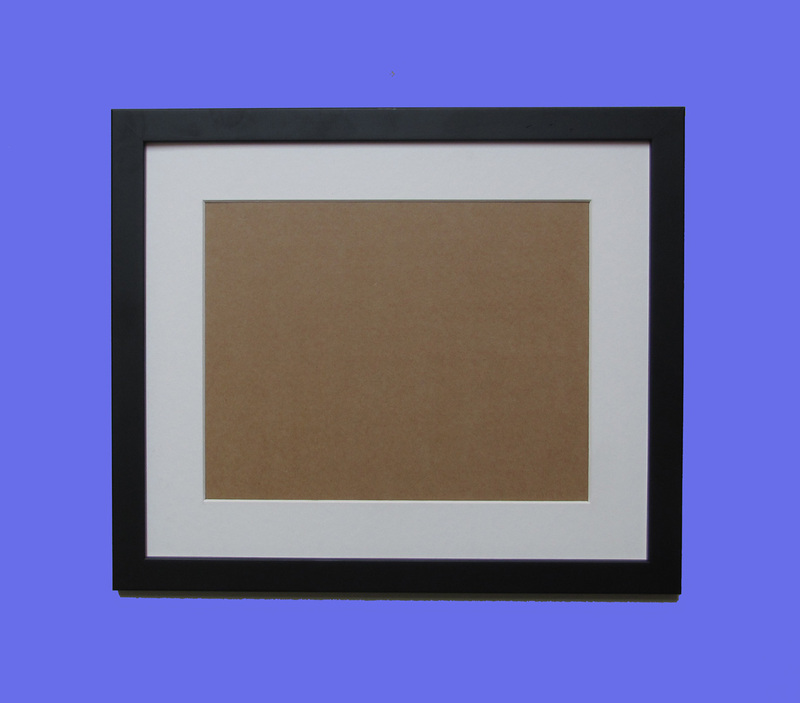 PLEASE NOTE THE SAMPLE PHOTOS ARE ALL OF 10"X10" FRAMES BUT THAT IS NOT WHAT YOU ARE ORDERING UNLESS YOU ARE ON THE 10"X10" PAGE.ALL FRAME SIZES QUOTED ARE GLASS SIZES, NOT THE EXTERNAL FRAME SIZE.Please note image colours may vary slightly on different monitors. CLICK ON ANY IMAGE TO ENLARGE. 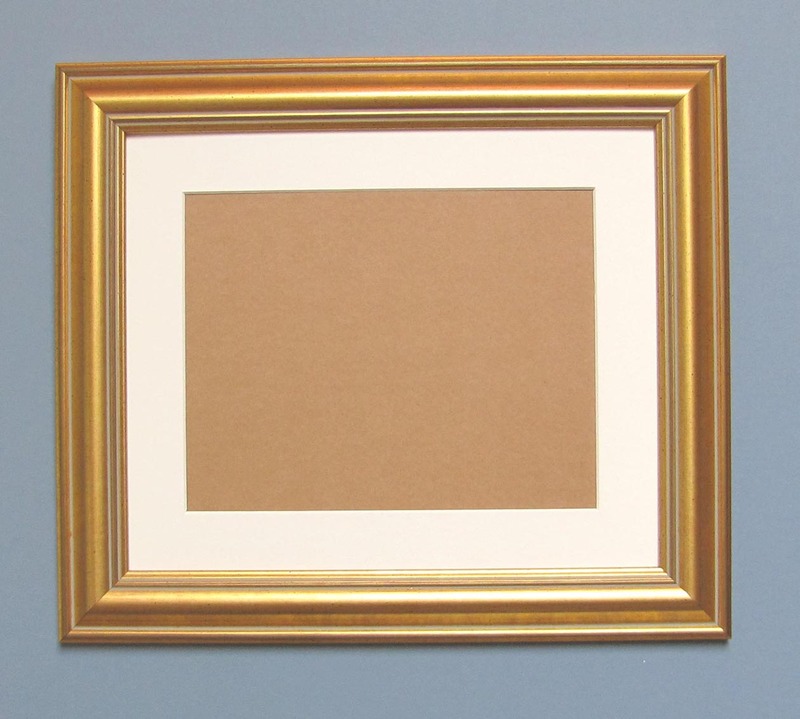 6"X6"QUALITY GOLD POLYMER FRAME COMPLETE WITH A SOFT WHITE COLOURED ACID FREE WHITE CORE MOUNT GLAZED WITH GLASS NOT PLASTIC AND CORRI COR BACK. 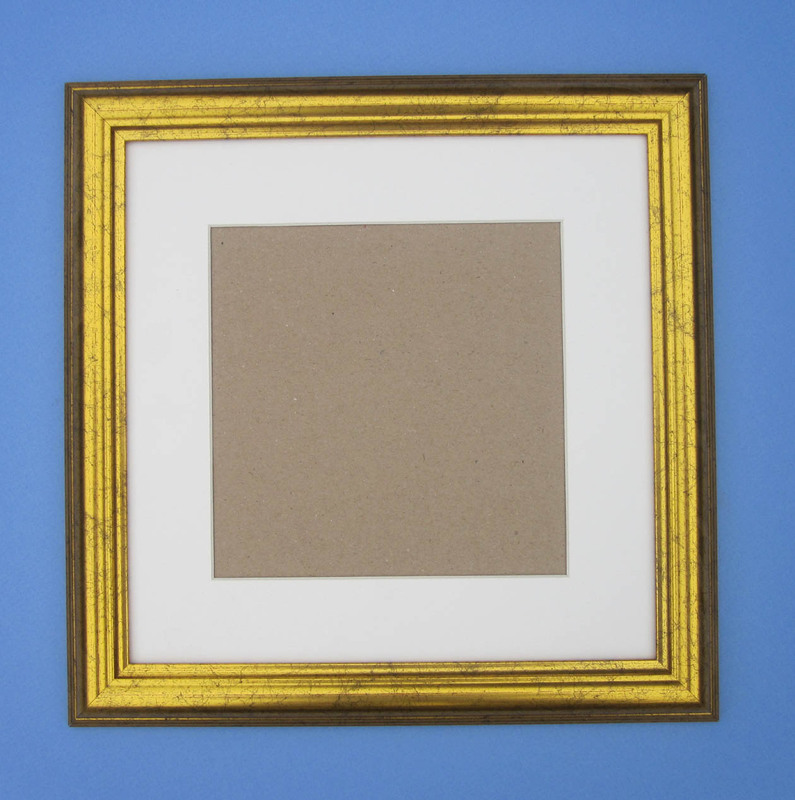 Mount comes with a 3 3/4"X3 3/4" aperture but can be cut to any aperture size on request.Please specify if you require a different aperture size via email when ordering. Price £7.80 inclusive of postage. 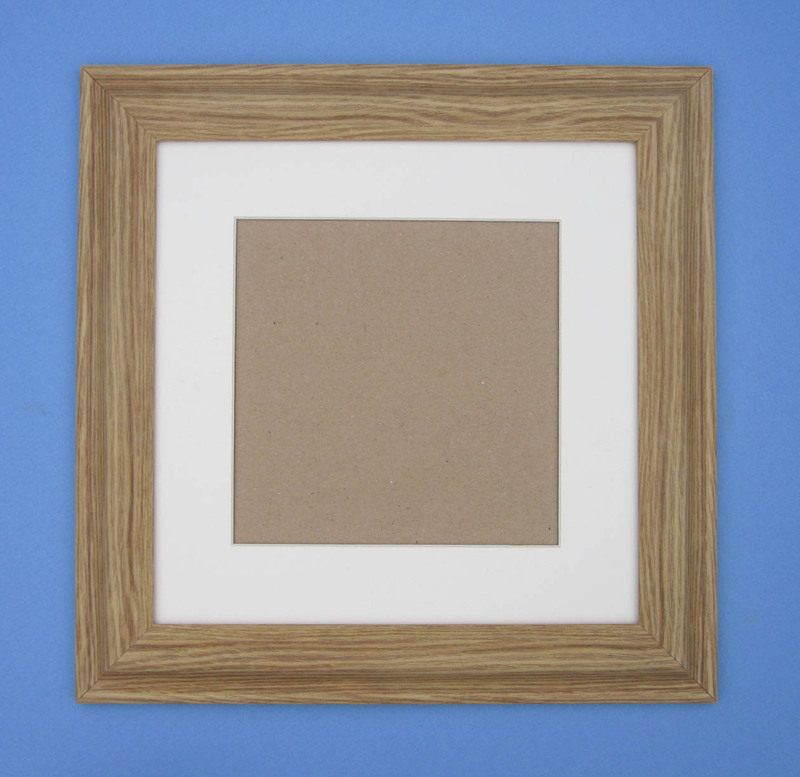 6"X6"QUALITY OAK EFFECT POLYMER FRAME COMPLETE WITH A SOFT WHITE COLOURED ACID FREE WHITE CORE MOUNT GLAZED WITH GLASS NOT PLASTIC AND CORRI COR BACK. Price £10.75 inclusive of postage. 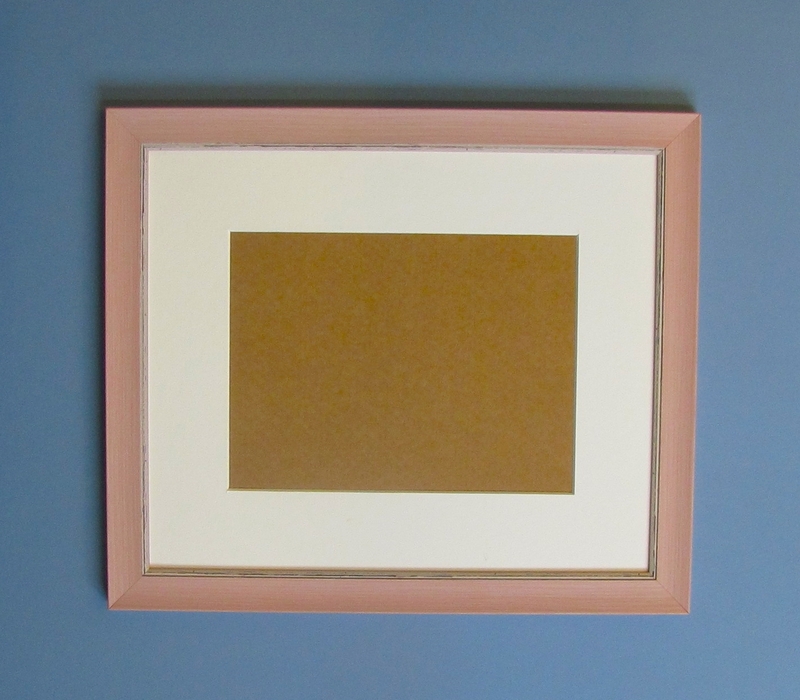 6"X6"QUALITY WOOD AND GOLD EFFECT POLYMER FRAME COMPLETE WITH A SOFT WHITE COLOURED ACID FREE WHITE CORE MOUNT GLAZED WITH GLASS NOT PLASTIC AND CORRI COR BACK. 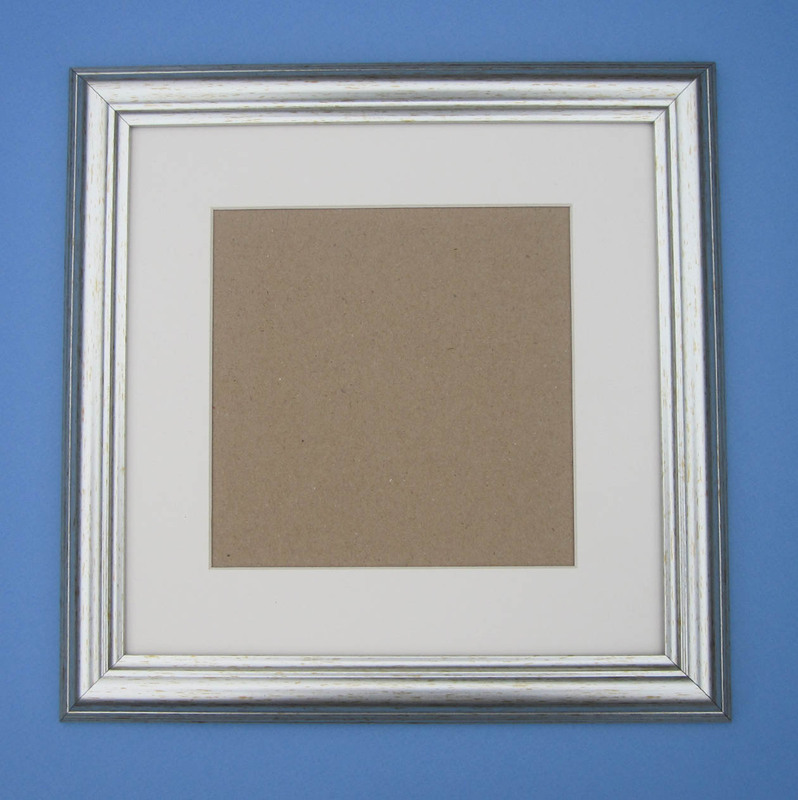 6"X6"QUALITY SILVER POLYMER FRAME COMPLETE WITH A SOFT WHITE COLOURED ACID FREE WHITE CORE MOUNT GLAZED WITH GLASS NOT PLASTIC AND CORRI COR BACK. 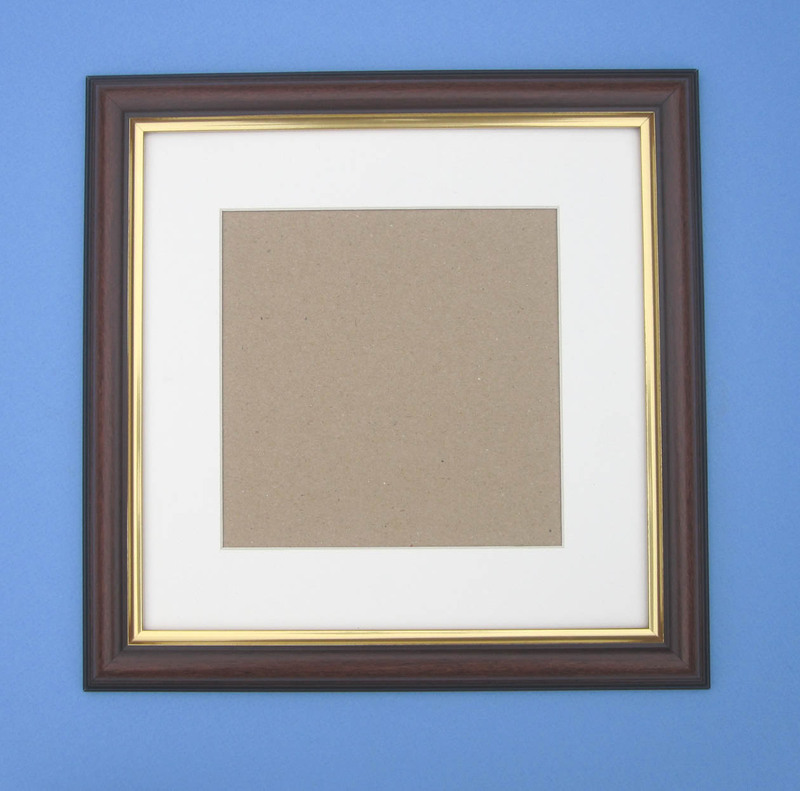 6""X6"REAL WOOD BLACK FRAME COMPLETE WITH A SOFT WHITE COLOURED ACID FREE WHITE CORE MOUNT GLAZED WITH GLASS NOT PLASTIC AND CORRI COR BACK. 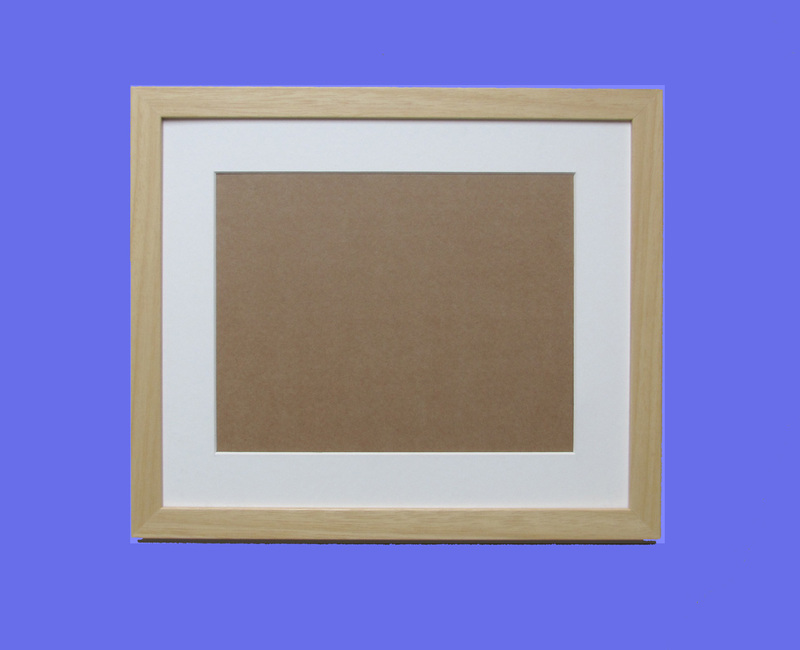 6"X6"NATURAL WOOD REAL WOOD FRAME COMPLETE WITH A SOFT WHITE COLOURED ACID FREE WHITE CORE MOUNT GLAZED WITH GLASS NOT PLASTIC AND CORRI COR BACK. 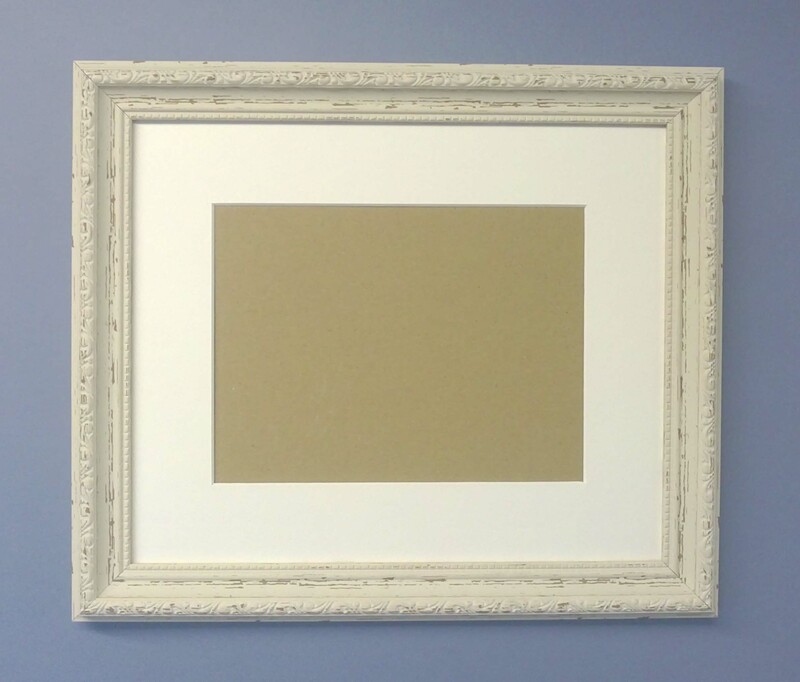 6"X6"GUNMETAL COLOUR POLYMER FRAME COMPLETE WITH A SOFT WHITE COLOURED ACID FREE WHITE CORE MOUNT GLAZED WITH GLASS NOT PLASTIC AND CORRI COR BACK. 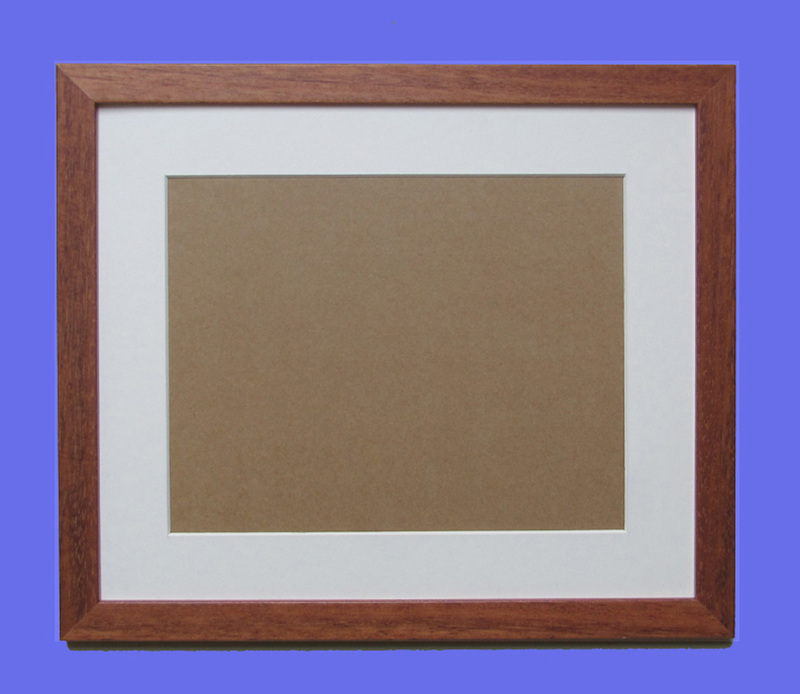 6"X6"TEAK COLOUR REAL WOOD FRAME COMPLETE WITH A SOFT WHITE COLOURED ACID FREE WHITE CORE MOUNT GLAZED WITH GLASS NOT PLASTIC AND CORRI COR BACK. 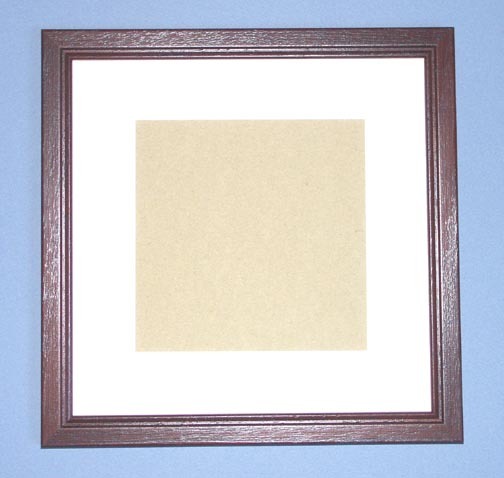 6"X6" MAHOGANY COLOUR REAL WOOD FRAME COMPLETE WITH A SOFT WHITE COLOURED ACID FREE WHITE CORE MOUNT GLAZED WITH GLASS NOT PLASTIC AND CORRI COR BACK. 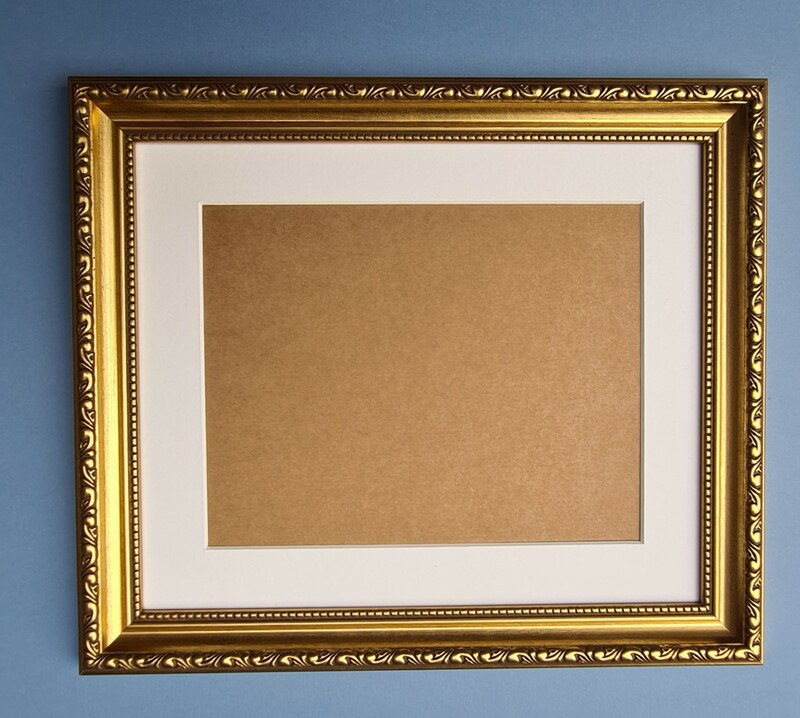 6"x6"ORNATE GOLD POLYMER FRAME COMPLETE WITH A SOFT WHITE COLOURED ACID FREE WHITE CORE MOUNT GLAZED WITH GLASS NOT PLASTIC AND CORRI COR BACK. Price £12.00 inclusive of postage. 6"X6"ORNATE SILVER POLYMER FRAME COMPLETE WITH A SOFT WHITE COLOURED ACID FREE WHITE CORE MOUNT GLAZED WITH GLASS NOT PLASTIC AND CORRI COR BACK. 6"X6" PINK POLYMER FRAME COMPLETE WITH A SOFT WHITE COLOURED ACID FREE WHITE CORE MOUNT GLAZED WITH GLASS NOT PLASTIC AND CORRI COR BACK. 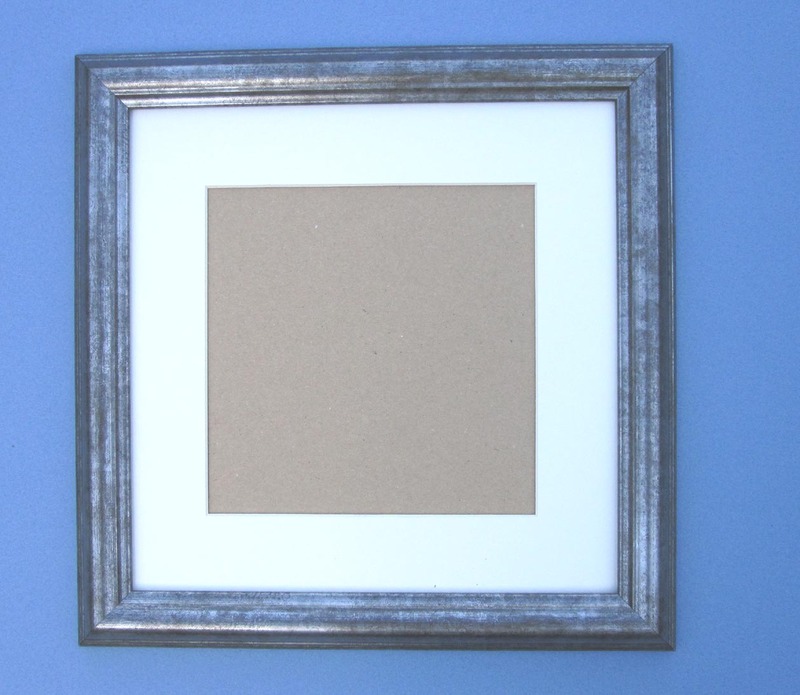 6"X6"GREY AND SILVER POLYMER FRAME COMPLETE WITH A SOFT WHITE COLOURED ACID FREE WHITE CORE MOUNT GLAZED WITH GLASS NOT PLASTIC AND CORRI COR BACK. 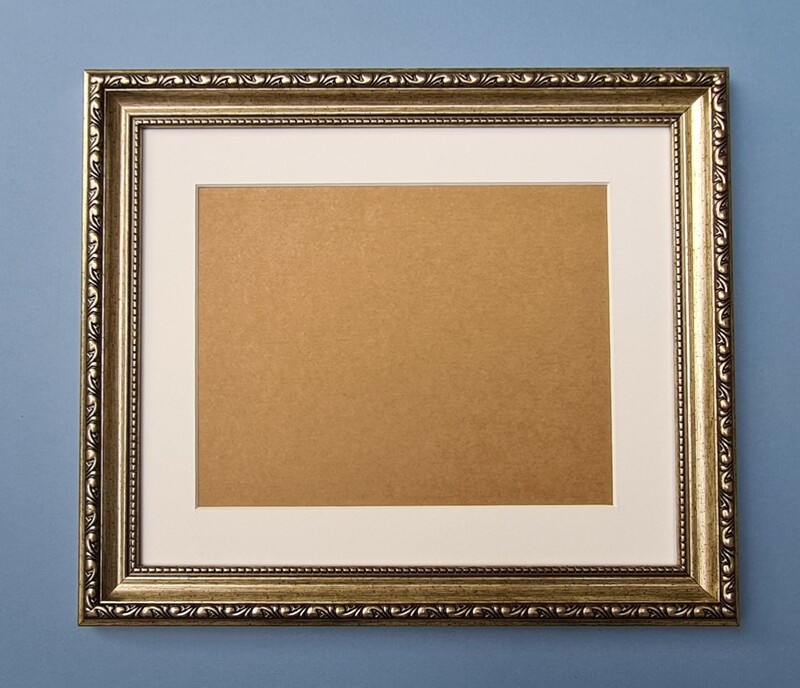 6"X6"WIDE GOLD POLYMER FRAME COMPLETE WITH A SOFT WHITE COLOURED ACID FREE WHITE CORE MOUNT GLAZED WITH GLASS NOT PLASTIC AND CORRI COR BACK. 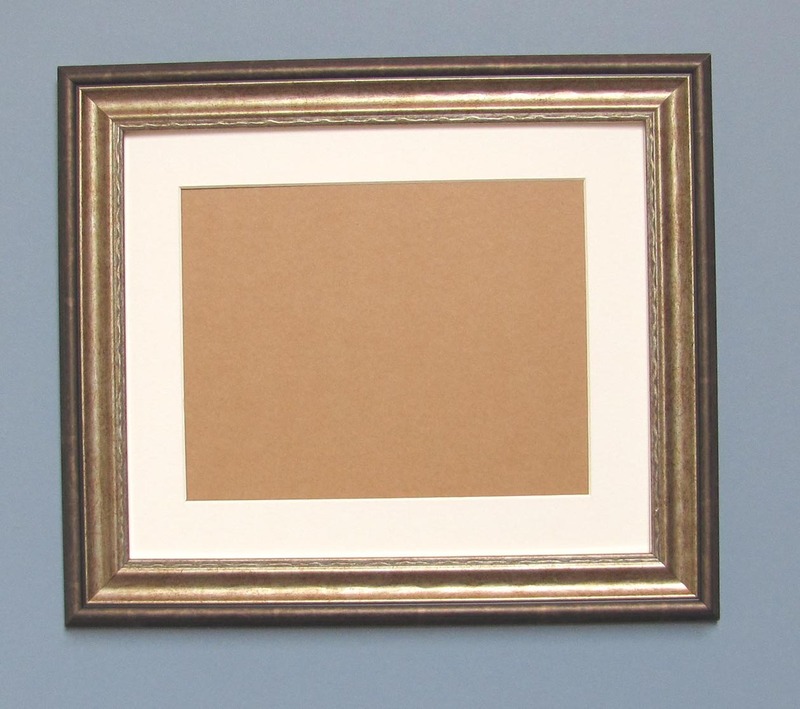 Mount comes with a 3 3/4"x 3 3/4" aperture but can be cut to any aperture size on request.Please specify if you require a different aperture size via email when ordering. 6"X6" SHABBY CHIC POLYMER FRAME COMPLETE WITH A SOFT WHITE COLOURED ACID FREE WHITE CORE MOUNT GLAZED WITH GLASS NOT PLASTIC AND CORRI COR BACK.